It's been a little while, so I'm excited to be performing an opera this weekend! I'll be singing the role of "Jupiter" in Handel's Semele. 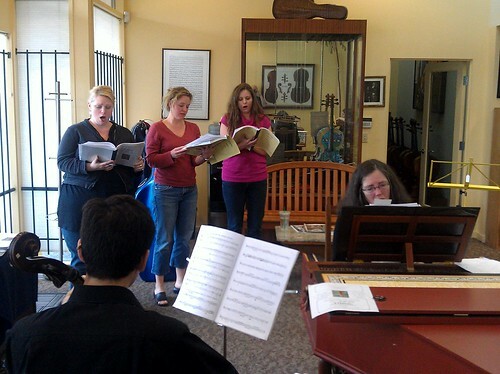 These performances are put together by violinist and shop owner David Kerr through Baroque Opera Workshop. It feels so good to be singing this music! My part has some really lyrical moments and some wickedly-challenging coloratura.